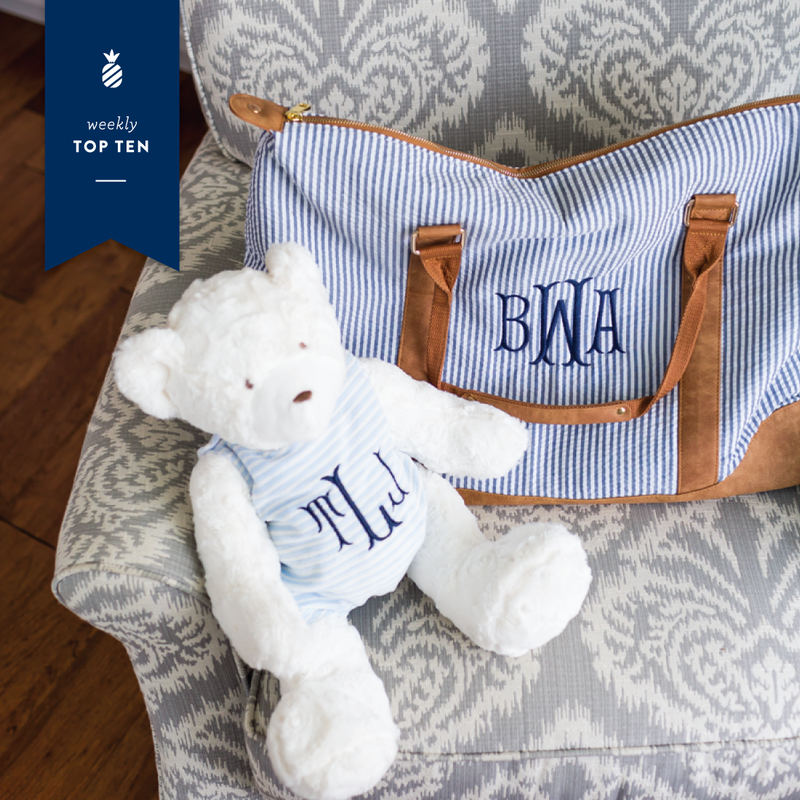 Simply Embroidered’s Monogram Essentials: We adore this weekender duffel and plush teddy bear. They make the best baby shower gift as a set (something for mama and for baby! ), or individually for any occasion. Such high quality, too! McKenzie’s Ginger Lemonade Recipe: You can’t let summer end without giving this recipe a try! It’s SO good!! Cathy’s Concepts Mason Jar Mugs: Speaking of lemonade…these cute little jars are perfect to serve them in! 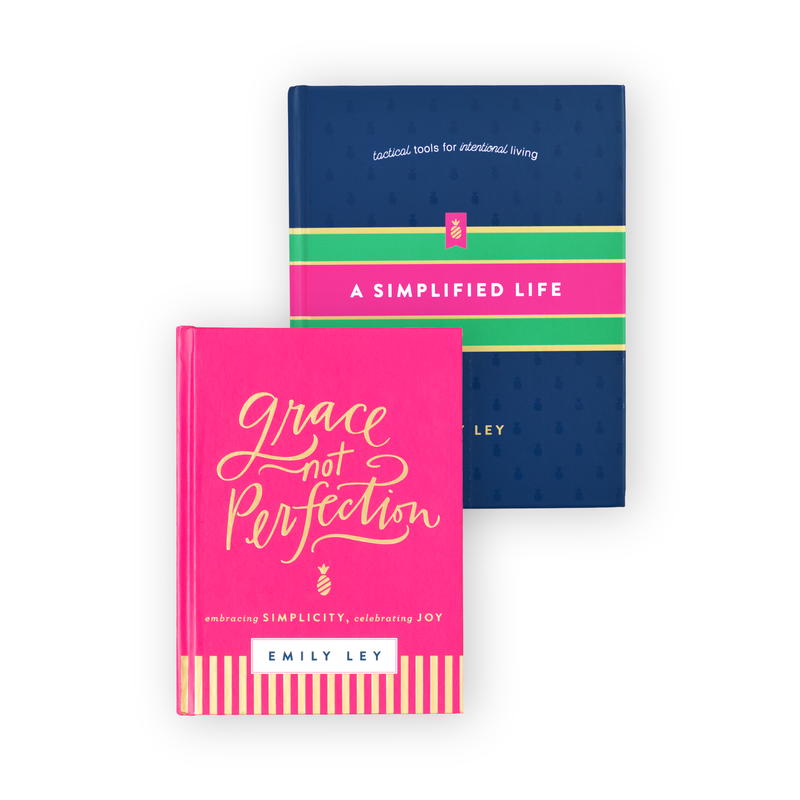 These would also make an excellent hostess or housewarming gift! 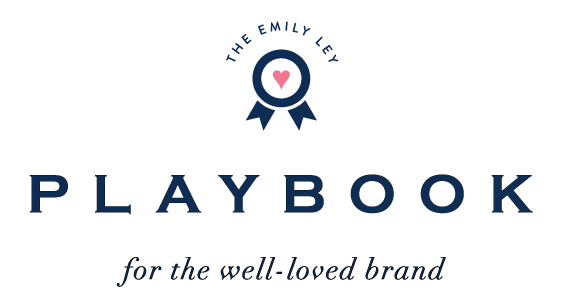 EL Playbook: We officially launched EL Playbook this week and are SO incredibly excited about it! 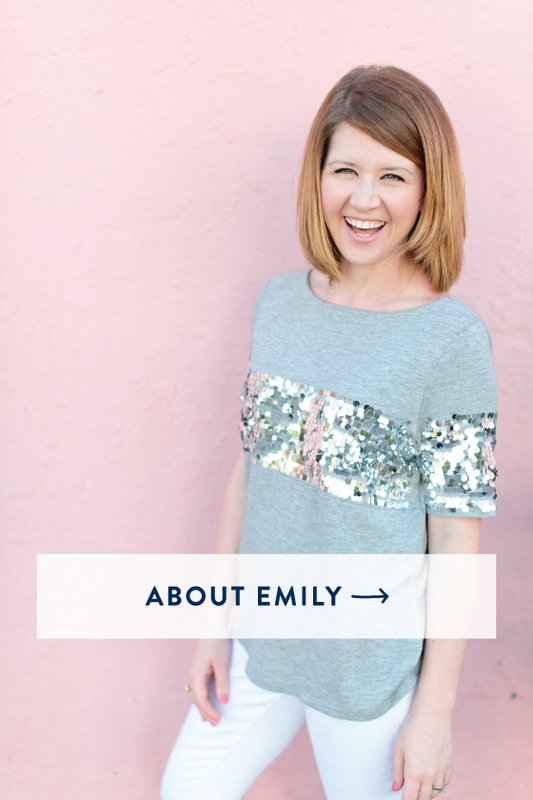 Emily even wrote a few free e-books sharing some of the hardest lessons and best business tips that she’s learned over the years. 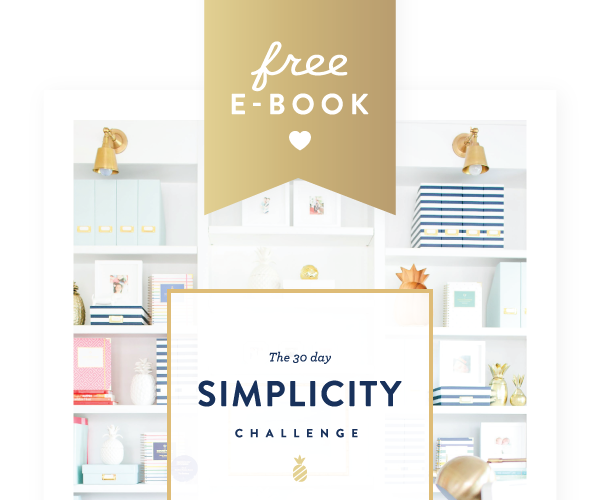 Hop on over to get your copy delivered straight to your inbox today! Acrylic Catchall: Have you seen Mark and Graham’s newest acrylic catchall? We’ve been eyeing a large monogrammed one for the office! ‘Mini Burst’ Euro Sham: How fun is this tassel pillow? We think it’d be adorable in a little (or big!) girl’s room! 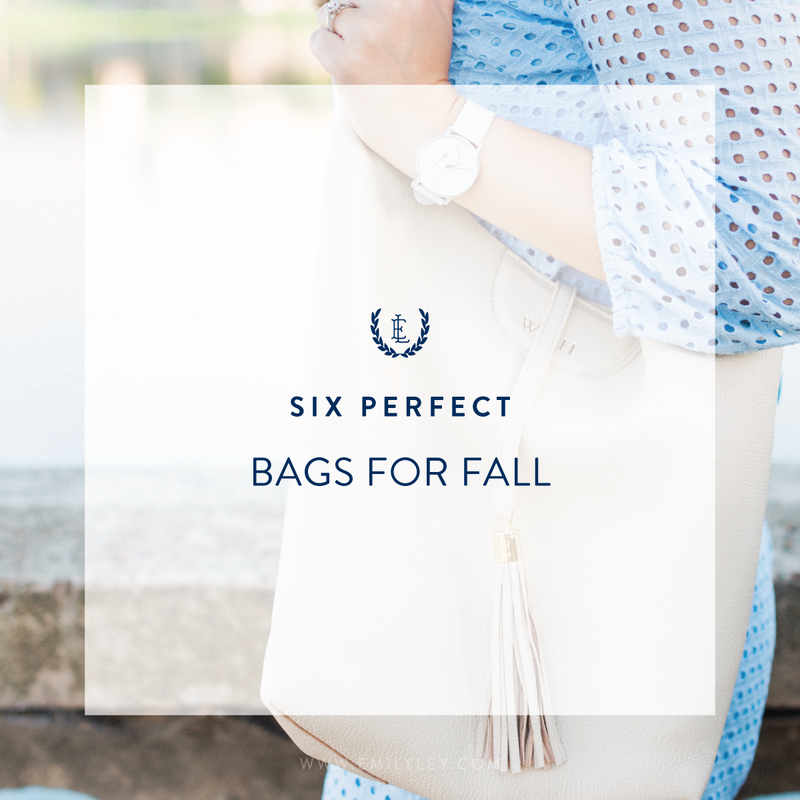 Knotty Clutch: This is the perfect transition clutch into a fall wardrobe. We love that it’s a gorgeous neutral with little pops of color! @katie_kime on Instagram: We just love Katie’s Instagram feed and her southern charm. She has the most adorable shop, too! 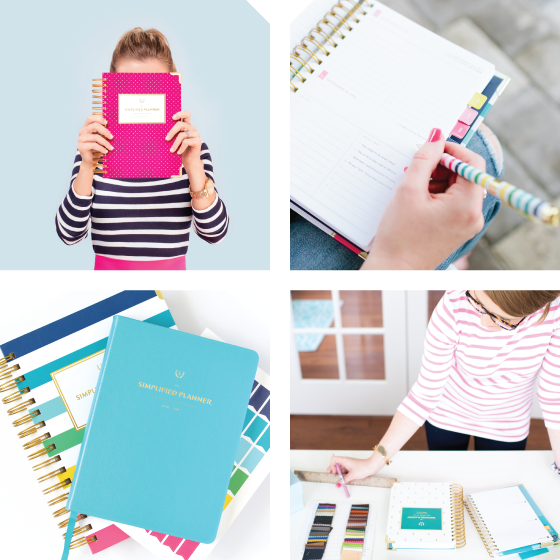 Kate Spade Gold Note Holder: This note holder would spruce any dull desk up! So pretty and functional! Our August Playlist: Don’t forget to follow along with our Spotify playlists! 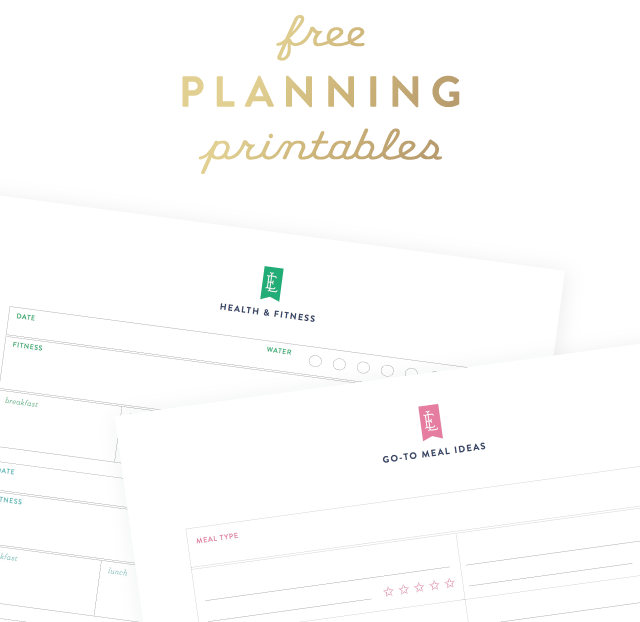 We just rolled out a brand new one for August!